Shibori is a traditional Japanese fabric dyeing technique that produces patterns on textiles. The patterns produced are all hand-crafted. 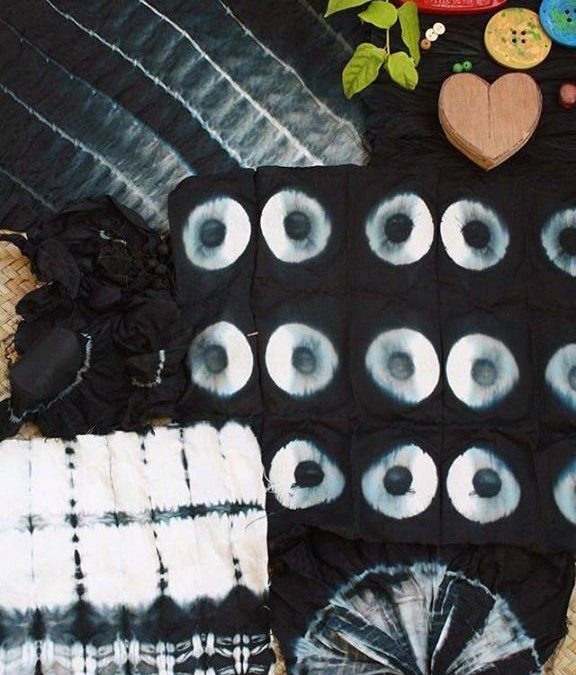 Enjoy the art of doing it yourself at the Shibori Workshop. The intent of this workshop is not only to introduce people to the inventive Japanese textile art of shibori, but also to go handmade. The participants will explore many traditional techniques of Shibori including Kanuko/ Itajime/ Kumo/ Arashi, in a hands on method. The artist-trainer will provide step-by-step guidance so that each of you is a proud owner of beautiful handcrafted patters on fabric. In a consumerist culture that we are in currently, it would be nice for people to question their consumption behaviour. To sow seeds about slow consumption, slow textiles and slow fashion. We are conscious of the material that goes into our workshop. Our organic cotton fabric is locally sourced and we use Azo free chemical colours.